Product prices and availability are accurate as of 2019-04-13 17:12:07 EDT and are subject to change. Any price and availability information displayed on http://www.amazon.com/ at the time of purchase will apply to the purchase of this product. 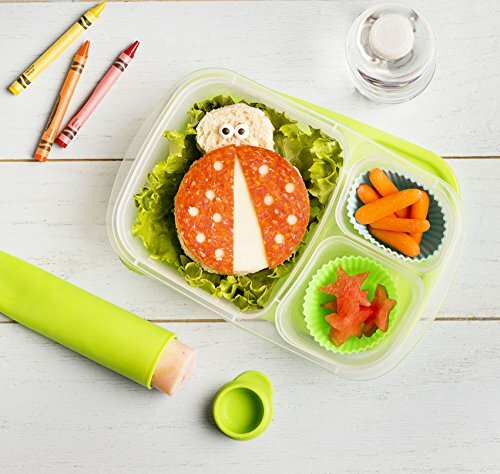 Healthy and nutritious options are easy for your kids lunches with these premium quality, bento style, Sunsella Buddy Boxes! 4 colorful lids that are fantastic for color-coding different lunches for the whole family. Great as a work lunch box, plan and prepare lunch in advance and store in the fridge for quick and easy, hassle free mornings. Dishwasher safe for easy cleanup. One size fits all. Ideal size for Mom, Dad and the Kids too! Buddy Boxes make meal planning simple, add variety to your lunches with the 3 compartment design, different food combinations are endless! No need for multiple, different size containers with Sunsella Buddy Boxes you can have everything in one. Have pre-prepared healthy snacks like fruit slices or vegetable sticks on hand in the fridge for quick and nutritious options for your children. 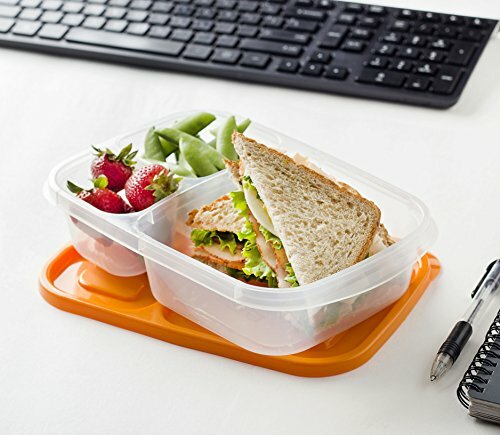 Stackable design means storing your upcoming lunches in the fridge takes up less room and when not in use stack together for space saving storage. 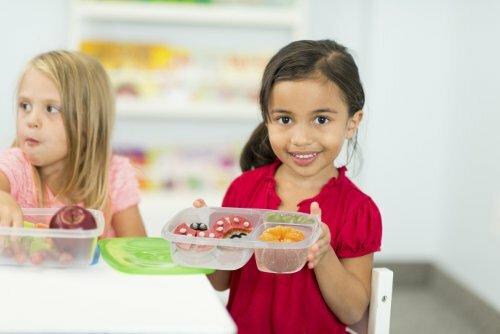 BPA, phthalate and lead free materials that have been independently tested to ensure they meet strict FDA standards so you can be sure Buddy Boxes are safe for your family. HIGH QUALITY: ★ Set of 4 ★ 3 divided compartments ★ Food safe plastic ★ BPA and lead free ★ Meets FDA standards ★ Adults and children ★ Boys or girls ★ Easy open, child friendly lids. 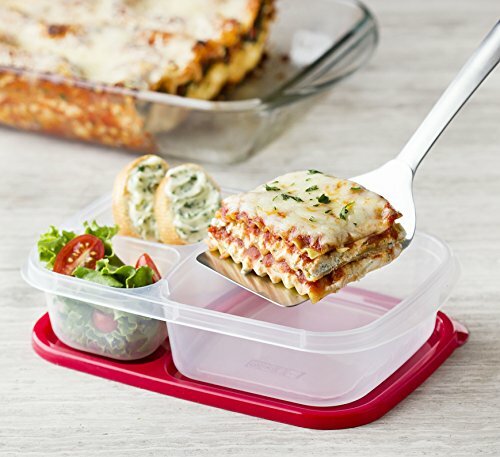 DURABLE: ★ Reusable ★ Microwave, dishwasher & freezer safe ★ Stackable ★ 4 color lids. DIMENSIONS: 9.5 x 6.2 x 2.2 inches COMPARTMENTS: 3 1/2 cups: 1 1/3 cups, 1 cup. (Not Leakproof) HEALTHIER: Healthy & nutritious snacks or portion control meals ready for your family. Perfect for meal prep and food storage or freezing baby food. SAVE TIME & MONEY: Store pre prepared meals with color coded lids - Eco-friendly, no need for sandwich bags, wrap or single use disposable containers. 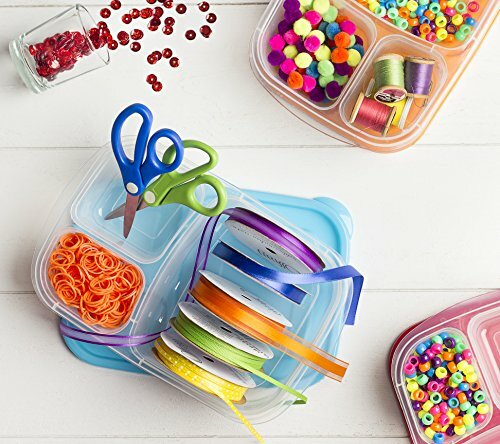 Use with a backpack or a cooler bag for an on-the-go lunchbox for school or at the office.